The police recently picked you up for DUI—maybe even for the second or third time—and you’re finally ready to admit that you have an alcohol problem. You know you need assistance, but where do you go to find it? And how do you know which program is most likely to help you? These seemingly simple questions can lead to a raft of conflicting, challenging decisions. It is almost shockingly difficult to find objective reviews of the various treatment options available as well as clear data about which approaches work best for different types of people. This post aims to shine a light on this murky subject. Let’s explore. Where can you go for help? What programs are even out there? 1. Your primary care physician is a good place to start. Your doctor should be aware of what’s available in your area and what programs might be most likely to work for you. 2. Your employer’s employee assistance program (EAP). Depending on circumstances, the EAP might offer short-term assistance to pay for treatment as well. 3. The Substance Abuse and Mental Health Services Administration’s (SAMSHA) website. SAMHSA has a Behavioral Health Treatment Services Locator that provides a list of alcohol treatment programs when you to enter your city or zip code. 4. A qualified, informed Los Angeles DUI attorney. An experienced attorney who’s worked with people facing similar challenges should have many great resources on speed dial. Look for a treatment that is compatible with your beliefs (and with your pocketbook). For example, if you are an atheist or agnostic, programs that have a spiritual or religious core may not be a good fit. If you will be carrying the whole cost of treatment yourself, outpatient or community-based treatment programs will probably make more sense than residential or inpatient programs. The National Institute of Alcohol Abuse and Alcoholism (NIAAA) lists three different categories of alcohol treatments: behavioral treatments (geared to changing your behavior); medications that can help you stop or reduce your drinking; and mutual support groups in which peers provide assistance. 1. Cognitive-behavioral therapy, which focuses on identifying the cues that lead to heavy drinking. The goal is to give patients the skills necessary to change their thought processes so that they can cope with situations where they might be tempted to drink. 2. Motivational enhancement therapy looks for ways to strengthen people’s motivations to change their drinking behavior. It seeks to give them the confidence and skills they need to be successful in these efforts. 3. Programs that focus on marital and family counseling operate on the principle that strong family relationships play a key role in helping people overcome their drinking problems and avoid relapses. 4. Brief interventions are short sessions in which the counselor will work with a client to identify their drinking patterns and situations that put them at risk and to provide suggestions that will help that client make a behavioral change. 1. Naltrexone, which can help reduce the amount of alcohol consumed and the frequency of consumption. 2. Acamprosate, which can help reduce drinking by stabilizing the chemical balance in the brain when alcohol is withdrawn. 3. Disulfiram, which discourages drinking by causing unpleasant symptoms if someone consumes even small quantities of alcohol. When someone taking the medication drinks alcohol, they can experience reactions including nausea, vomiting, throbbing headaches, vertigo and blurred vision. While these are the only FDA-approved drugs for this purpose at present, researchers are looking at medications approved for other purposes that might be useful in treating alcoholism as well. Taking drugs to control alcoholism (under supervision) is like taking medicine to control high blood pressure or thyroid disease. These drugs aren’t addictive, so there’s no danger that someone will become physically dependent upon them. Groups like Alcoholics Anonymous operate on the premise that people with addictions can gain the insights and support that they need to conquer their problems by following certain guiding principles and by interacting with others who are also struggling with the same kind of addiction. AA and other religious-based, 12-step programs believe that alcoholics must admit that they can’t control the problem on their own, and that they must acknowledge that a higher power can provide them the strength they need to overcome their addiction. These programs ask people to admit their past mistakes, try to make amends for them and then develop a new code of behavior that will enable them to change their lives. If the religious aspect doesn’t appeal to you, there may be some 12-step alcohol recovery programs in your community that eliminate those elements. As you’re conducting your search, you’ll find that each inpatient or outpatient alcohol addiction program has its own approach to treatment. Some may focus on cognitive-behavioral therapy while others use prescription medications and one-on-one counseling. Many use a mix of these elements. One of best known (and most expensive) alcohol treatment programs in California is Passages Malibu. The therapists in this center do not believe that alcohol addiction is a disease. Rather, they see it as a result of one or more of these four causes: chemical imbalance, unresolved events from the past, beliefs that are inconsistent with the truth and the inability to cope with current conditions. They emphasize that their treatment is not based on the 12 steps but on a holistic approach that views alcohol addiction as a completely treatable condition. Passages Malibu promises its patients an individualized treatment plan in “an unrivaled comfort and luxury.” Of course, they are paying for that atmosphere; the cost for a shared room starts at $80,000 per month, according to some review websites. They also claim an 80 percent success rate, but that includes individuals who have only recently completed their treatment. The long-term rate is unknown. Another well-known but less expensive option is the Hazeldon Betty Ford Foundation, which operates three clinics in California: Los Angeles, Rancho Mirage and San Diego. The cornerstone of their treatment is the 12-step philosophy, but they also use evidence-based therapies such as cognitive behavioral therapy, acceptance and commitment therapy, and dialectical behavioral therapy. There are inpatient and outpatient day and evening programs available. If you have to pay for treatment yourself the cost is $3,300 a week, but the clinics do accept many insurance programs. Before you choose any alcohol addiction center, be sure to understand the kind of treatment provided. Ask if the center offers individualized plans for recovery; alcohol addiction treatment is not a one-size-fits-all process. You’ll also want to ask about the success rate of other people who have gone through the program. How do they measure it? Do they continue to check in with people over the course of many years to track the long-term success rates? If someone suffers a relapse—something that’s likely to happen during the course of long-term recovery—how do they handle it? Of course, you’ll also want to check on the costs of the program and whether or not your insurance covers any of the costs. 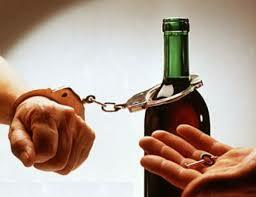 No one wants to go through the difficulties that stem from a DUI arrest. But in the long-term, the DUI could have the positive effect of encouraging you to get help for a problem that is negatively impacting many aspects of your life.